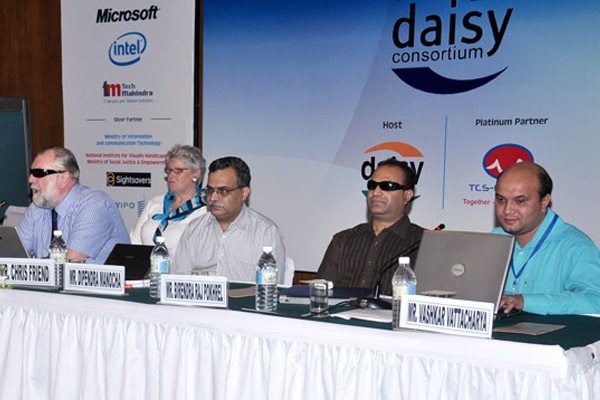 DAISY Consortium & Nippon Foundation, UNDP and Prime Minister Office (PMO). 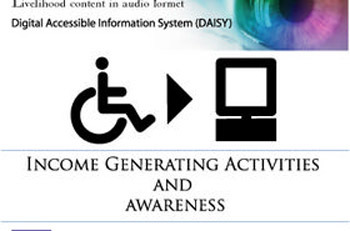 To ensure the best use of Information Communication Technology (ICT) for promote information accessibilities for people with print disabilities. 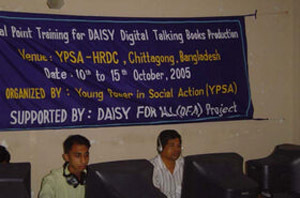 To develop ability of participants to use DAISY Production tools to create DAISY 2.02 Digital Talking Books. 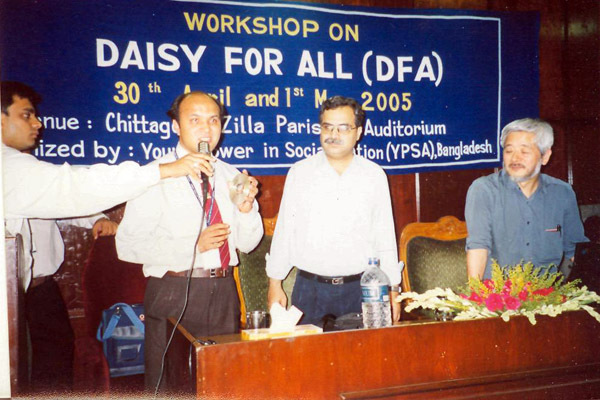 To develop ability of participants to create DAISY 2.02 files. In Bangladesh, approximately 14 million people (10% of the total population) have at least one disability.. About 3 million¹ (21%) of these people with disabilities are visually impaired. Literacy is also a significant issue with 56 million Bangladeshis¹ (40%) considered to be illiterate. 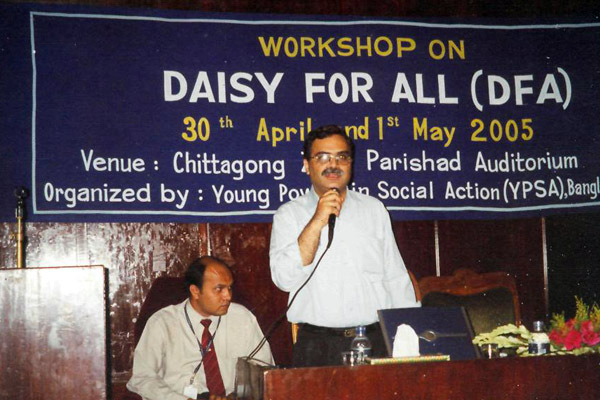 A range of diverse initiatives and interventions have been introduced in Bangladesh to address the problems and issues associated with disability and the people affected by it. The range covers almost all types of service delivery models and rights based approaches. 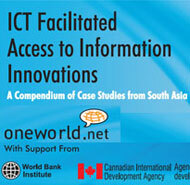 The newest trend is the inclusion of information and communication technologies (ICTs). ICT is the buzzword of the new millennium. It is being introduced, or more appropriately, being experimented as a cross cutting theme with almost all aspects of development arena including poverty and disability. 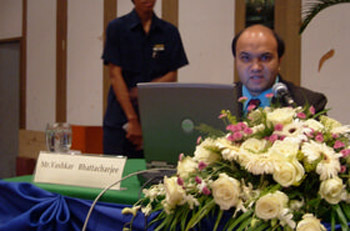 There are instances in Bangladesh where ICTs have proved successful to improve the lives of PWDs, socially and economically. Unfortunately, it is mostly limited in urban settings and educated PWDs with better economic backup. There is hardly a single instance that proves the effectiveness of ICTs for the betterment of poor PWDs living in isolated or remote rural settings. Moreover, there has never been any study with particular focus on this issue. In the country a number of visually impaired students are now studying at school and University Level. There is a severe lacking of adequate study materials & books for them both in market & libraries. 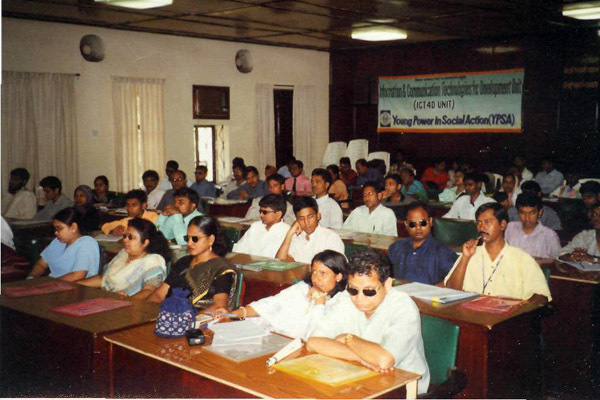 The class notes & lectures are a base of study at school and University level which is never in an accessible format for the visually challenged. Therefore, they are always lagging behind in their studies and receiving information. 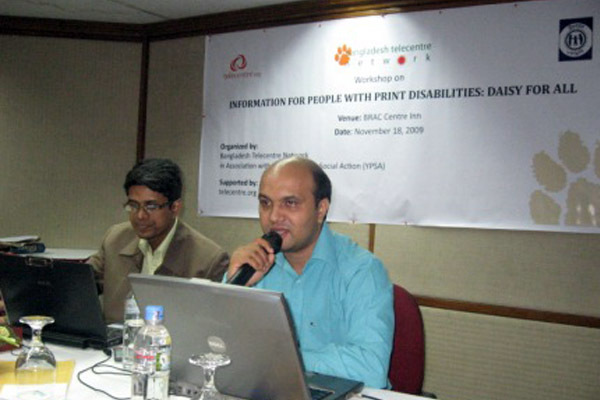 This creates an uneven competition for the print disabled and visually challenged. However, there are a number of technical progresses all over the globe that can provide the people with print disabilities and visually impaired with accessible information systems & study /information materials which can enable them to equal access of information like the visually able people. But due to the unavailability of accessible reading materials, lack of skills & opportunity to use these technologies, the people with print disabilities and visually impaired are unable to utilize these opportunities. 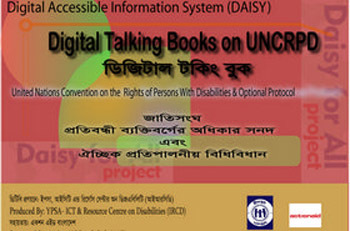 It is necessary to develop Bangla Screen Reader Software, Braille Bangla Software and others adoptive technologies to ensure the equal access of information for people with print disabilities. 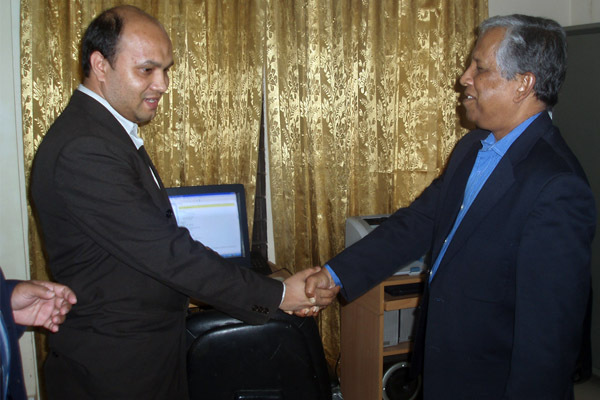 The cooperation and necessary steps should be taken up by the policy makers of Bangladesh Government and the authority concerned in this regards. Total content of Production 800. CD distribution Three Thousand and Five Hundred. Disaster related Four Contents have produced. In future we have established 4 productions Centre. Accessible study corner Dhaka & Chittagong University. 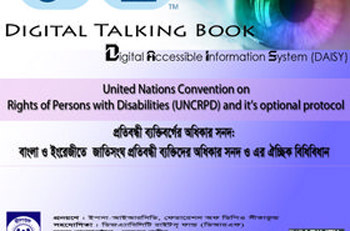 200 (hundred) Digital Talking Book will be produced. Digital National Library will be established. Training & Employment project will be start.